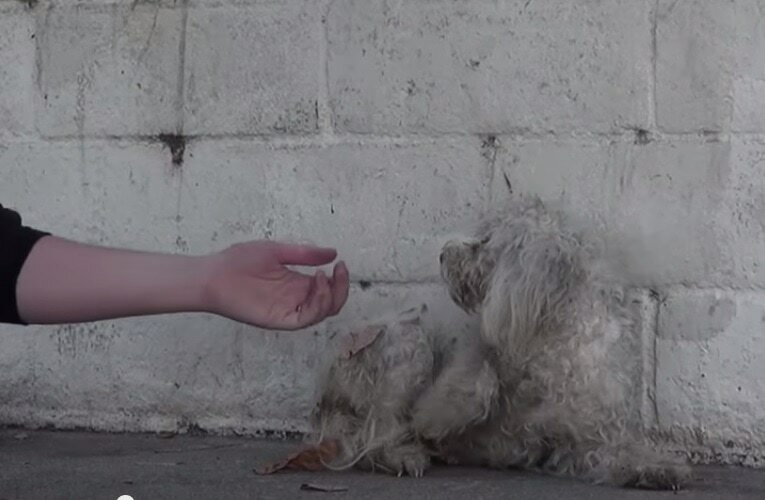 This homeless poodle rescued off of the streets of LA shure knows how to display gratitude! November 9th, 2015 is Kukur Tihar this year. 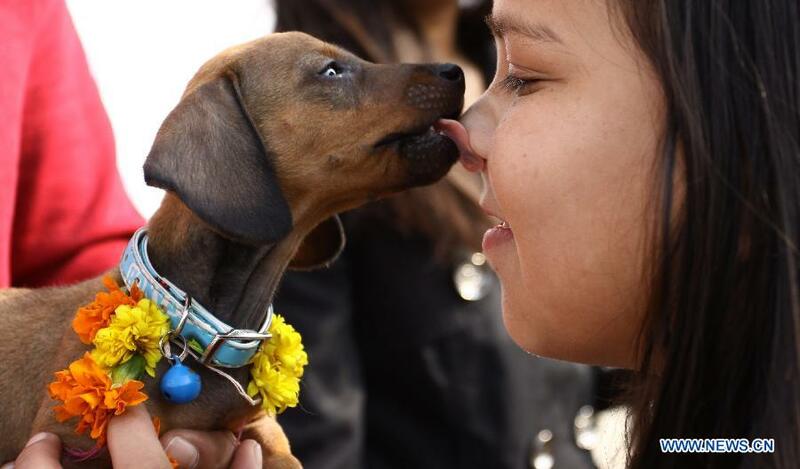 A dog celebration in Nepal that’s VASTLY different than the horrible one in China. 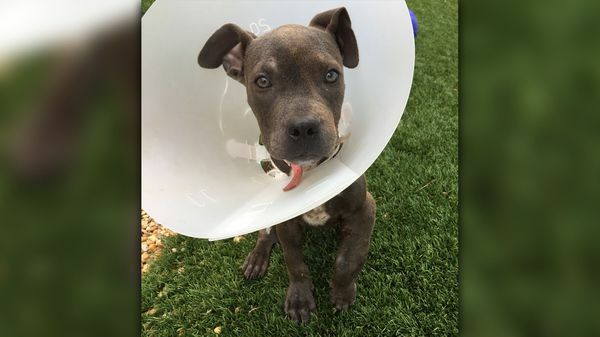 A pizza delivery guy rescued a puppy after seeing him left injured and untreated in the home of one of his pizza deliveries. 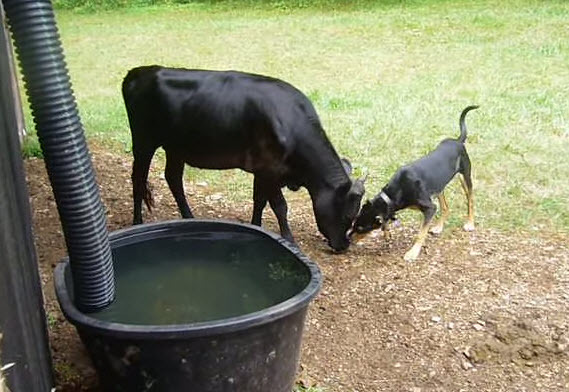 Friends are friends, and to these two, being different species is not a problem. 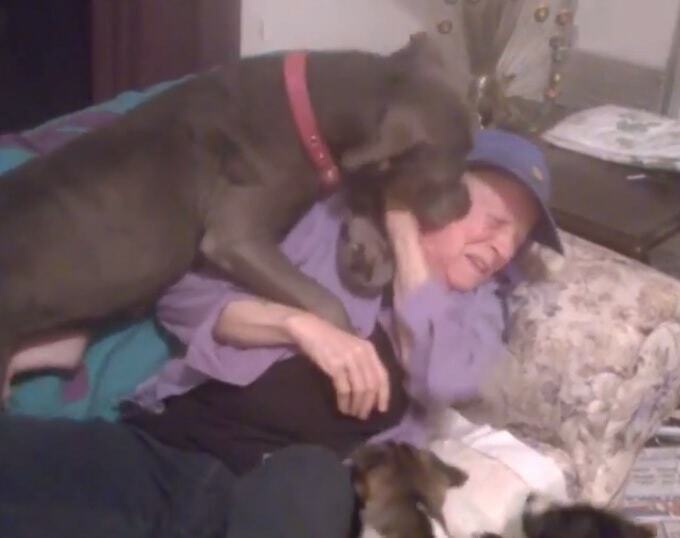 We’ve heard the silly Christmas song Grandma got Run Over by a Reindeer, but this is just nuts! 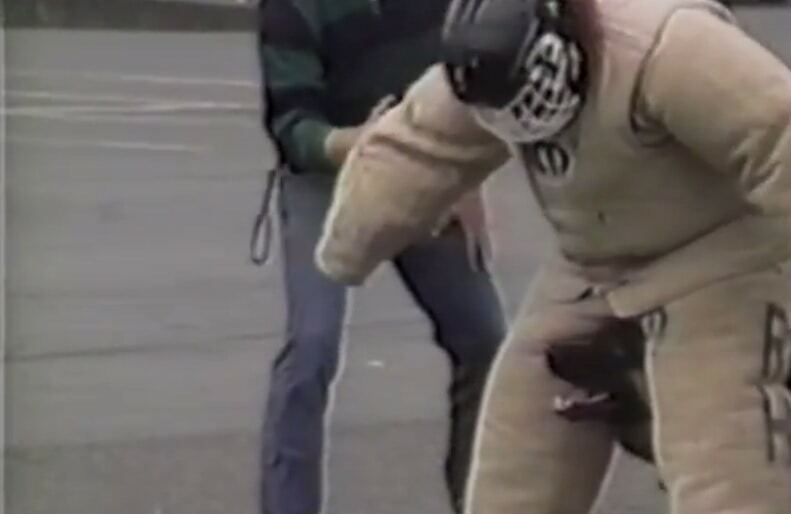 Who says you can’t have a little fun while at work? How High Can a Dog Jump? 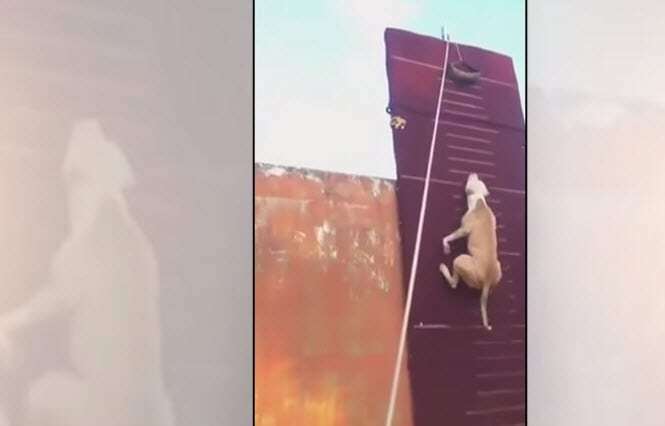 This awesome pit bull can jump higher than the average dog. Watch him. 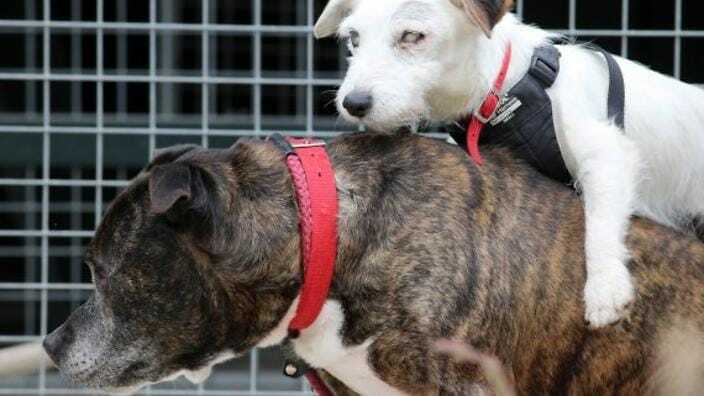 This pair of senior dogs were abandoned together. One is blind, and the other has become his seeing eye dog. 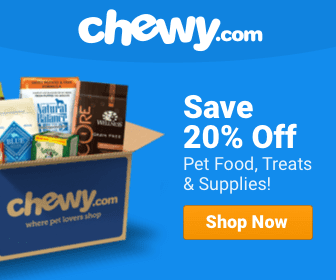 Can you give them the home they need? 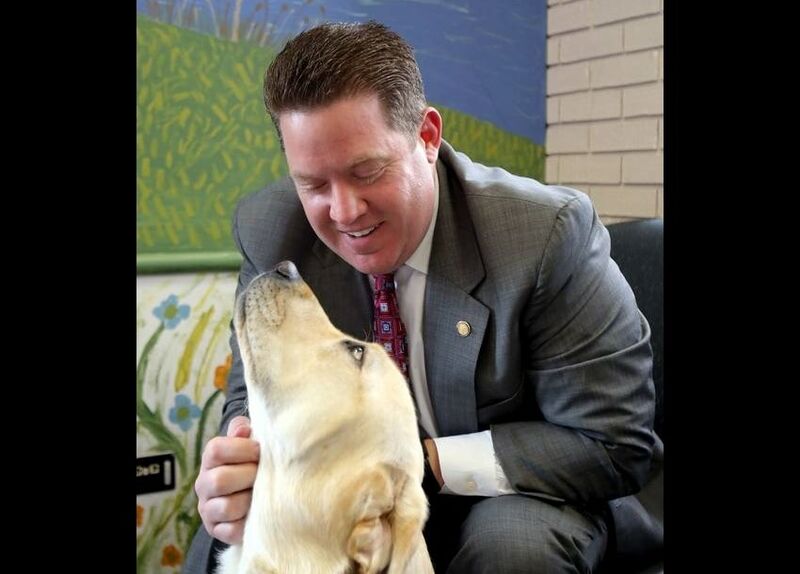 A new bill signed into law allows for a therapy dog in courtrooms to comfort victims of traumatic and violent crimes.